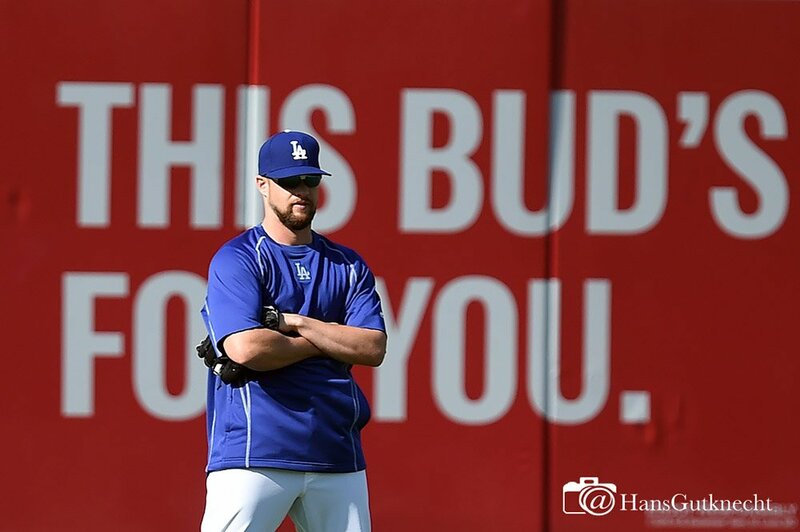 Dodgers designate Bud Norris for assignment, activate Alex Wood from 60-day DL. Update. The Dodgers activated pitcher Alex Wood from the 60-day disabled list today, as expected. Pitcher Bud Norris was designated for assignment to make room for Wood on the 40-man roster. Wood will join the Dodgers bullpen. He’ll work as a situational lefty, and Roberts said Tuesday that he’d prefer to bring Wood in at the beginning of innings at the outset. He’s 1-4 with a 3.99 earned-run average in 10 starts this season, with 62 strikeouts in 56 ⅓ innings. Norris had a 6.54 earned-run average in 13 games (nine starts) for the Dodgers this season. He took Clayton Kershaw‘s place in the rotation when Kershaw went down with a back injury in June. But he never had a regular role after being felled by a back injury in his final start of July. By September, he’d been relegated to the bullpen. 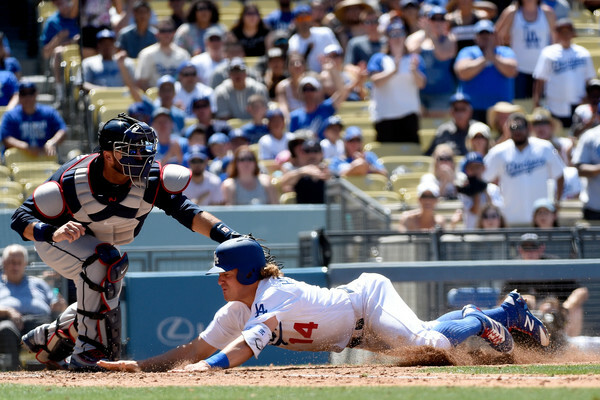 Game 150: Dodgers’ bench clears twice in comeback victory over San Francisco Giants. The Dodgers’ bench emptied hurriedly twice on Monday: once to confront Madison Bumgarner after he yelled at Yasiel Puig, and again to celebrate Adrian Gonzalez‘s walk-off double in a 2-1 win over the San Francisco Giants. The box score is here. The photo gallery is here. 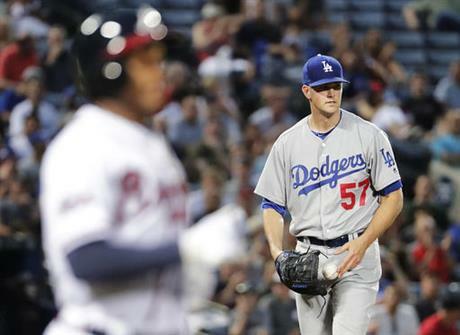 Alex Wood‘s return to the Dodgers is on hold. Read up on how to watch and listen to Vin Scully during his final week on the job at Dodger Stadium. Alex Wood won’t be activated tonight after all. In recent days, Dodgers manager Dave Roberts said pitcher Alex Wood was on track to be activated from the disabled list today. Wood said himself that would be the case just this afternoon. Then, a few minutes later, when Roberts addressed reporters in the third-base dugout, he dropped a surprise by saying Wood will be activated tomorrow instead.